Precocious 10-year-old Maya is lonely, bullied and mourning her late grandmother. Enter Aunty M, a domestic helper from Indonesia, here to take care of Maya and her baby sister while their mother goes back to work. The pre-teen is soon wrapped up in the world of Aunty M who, among other things, feeds a starving helper in the same condominium, gives advice to another whose hands bleed from doing the laundry manually, and volunteers at a charity to help down-and-out foreigners on her days off. In A Yellow House, first-time novelist Karien Van Ditzhuijzen captures both Maya's coming-of-age and the struggles of women trying to eke out a living in foreign Singapore. A volunteer with charity Humanitarian Organisation for Migration Economics (Home), the Dutch expatriate has heard about the plight of hundreds of women working in homes here. She weaves their stories in House, in the form of domestic workers whom Aunty M and Maya encounter and help. But they are not all sob stories. Aunty M clearly possesses agency as an independent woman blessed with a good command of the English language and, as such, able to keep abreast of manpower laws here and help her fellow sisters. At the same time, she is able to wield her gifts precisely because her employer, Maya's mother, trusts her and gives her free rein. In exploring these themes, Van Ditzhuijzen can be rather on-the-nose. The book occasionally reads like a treatise on what laws here should look like. At one point, Aunty M points out that the Manpower Ministry says domestic helpers must have adequate food and appropriate sleeping quarters, but leaves it up to the employers to define them. The author also falls prey to caricaturing her minor characters - a fight between Maya's Singaporean mother and British father sees the duo labelling one another as "you Singaporeans" and "you ang mohs". 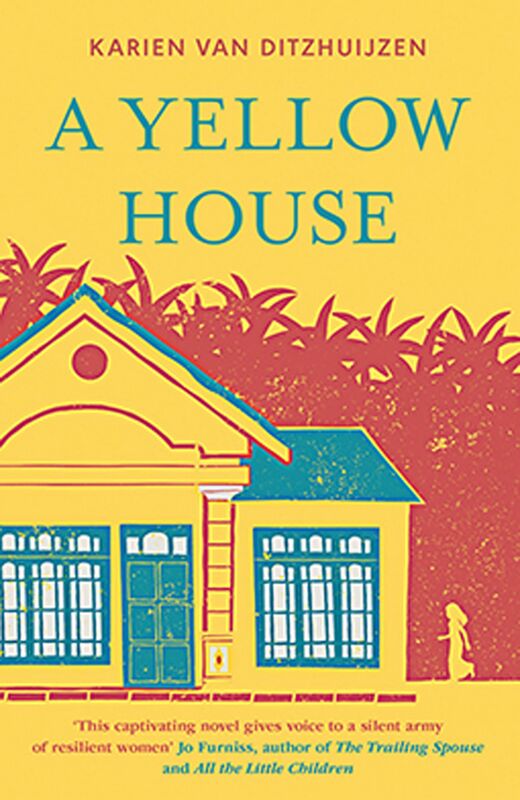 But A Yellow House is still worth reading, especially for younger readers who will benefit from a more complex view of the domestic helpers who keep a home running. It is a story about love and feminism in its myriad forms - and full of heart. If you liked this, read: The Maid's Room by Fiona Mitchell (Hodder & Stoughton, 2017, $25.95, Books Kinokuniya). This book follows the lives of two Filipino sisters and domestic helpers, telling the stories of helpers in Singapore in heartbreaking detail, and uplifting zest.